Spring is coming soon! I’m looking forward to slipping on my gloves and digging in my little garden. Basil loves spring, too. He’s always willing to lend a paw with the digging duties. Now that the warm weather is returning, I want to start preparing my garden for a whole new collection of flowers. While I’m at it, I want to get my vegetable garden ready for spring as well. I thought I’d share a few tips on how to get your garden ready for springtime. Enjoy! When temperatures start to rise and the sun comes out, I want to hurry out to my garden to do some work. But starting to dig before the soil is dry can turn your garden into one gigantic collection of hard dirt clumps. Walking in a garden that is wet can compact the soil as well. One way to test the level of dryness is to take a handful of dirt, roll it into a ball and drop it from a height of about three feet. If the ball of dirt breaks apart on the ground, then the soil is dry enough to work with. Weeds are some of the first things you’ll see growing in a spring garden. Get your spring garden ready for planting by pulling or eliminating weeds wherever they start to come up. It’s important not to let the weeds get a foothold in your garden while you’re waiting to plant your flowers and vegetables. If you pull weeds whenever you see them, they won’t steal sunlight or garden space away from the items you plant. 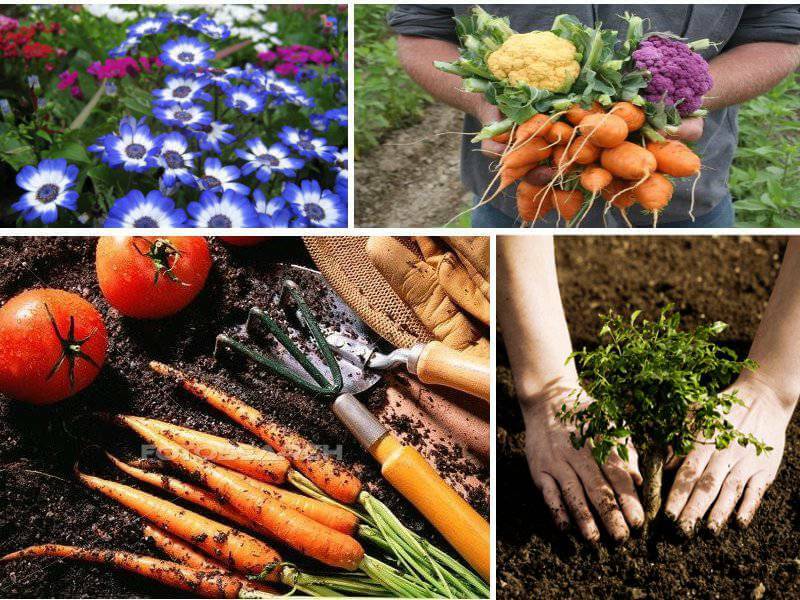 Take some time to plan the arrangement of your vegetable or flower garden. When planning the rows in a vegetable garden, you may want to consider the size of the plants. For instance, it’s a good idea to put plants that are medium-height such as tomatoes, peppers, and broccoli in the middle rows of your garden, where they have enough space to spread out. Put the low-growing plants such as lettuce or cabbage at one end of the garden so they aren’t overshadowed by taller plants. Alternatively, when planning the arrangement of your flower garden, you should take note of how much sunlight your flowers need to grow. A gathering of purple, red or white petunias would flourish in an area of a garden that receives four to six hours of full sun a day. A lovely collection of blue and white hydrangeas are likely to flourish in an area of your garden that allows them partial shade during the day. You can find out about the care of a particular flower by looking at the instructions on the pot or seed packet. There are some flowers and vegetables that arrive particularly early in the springtime. Daffodils have been known to peak up through the snow in some areas. Both yellow and white varieties of daffodils appear very early in the spring season. Snowdrops and Phlox are two other examples of spring’s earliest bloomers. When it comes to vegetables, lettuce, peas, and cauliflower grow well in the early spring. Take it from me; it’s worth the time it takes to create and nurture a spring garden that you’ll enjoy for months to come.